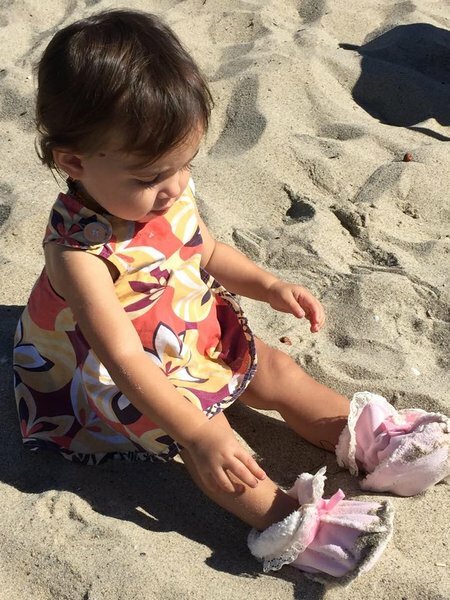 Babies are notorious for kicking off most shoes put on their little feet, but Grain of Salt booties are one exception. These cute little baby boots stay put on even the wiggliest of baby toes. Their secret? A comfortable elastic band at the ankle to ensure they stay in place all day. 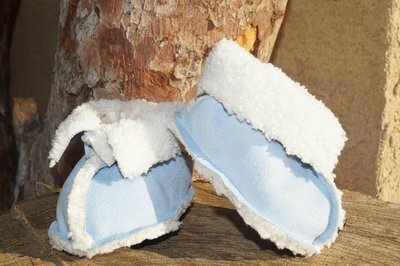 Each pair is made of extremely soft and durable materials that are bound to please every tiny foot they go on. Creator Kimberly Salt started sewing booties for her friends and family in 2006, and three years later had grown into a successful small business. While at an LA showroom, she met with Brandi, and the two partnered up to grow Grain of Salt together. After some unexpected life events, in 2012 Kimberly sold the company to Brandi, and the booties have been flying off shelves ever since. Made of sherpa and suede, Grain of Salt booties come in three colors: blue, pink, and camel. The pink and one camel option feature lace and bow detail for added cuteness. The bootie itself is pliable enough to roll down the calf for a custom fit. A soft, very stretchy and effective elastic band at the ankles help keep these booties on the most mobile of feet. Machine wash in cold water, tumble dry on low, and they are ready for anything. They come in three sizes ranging from newborn to 18 months. 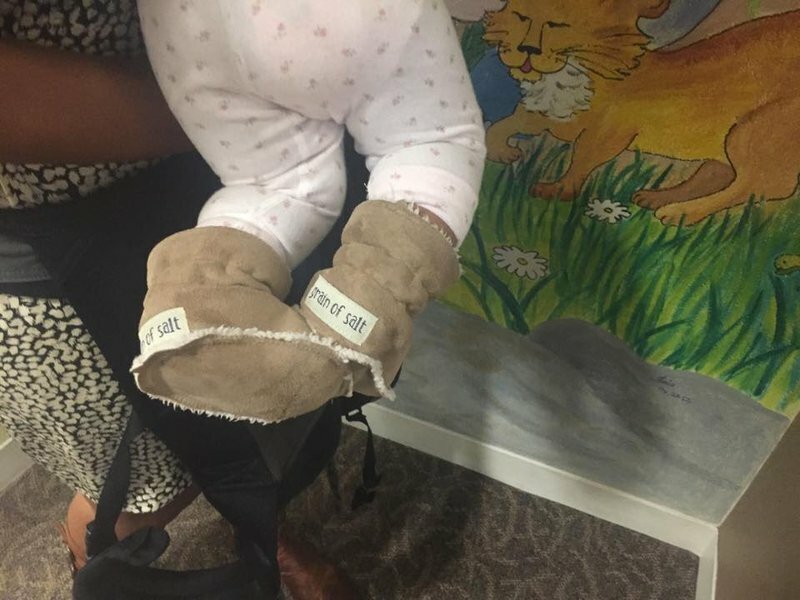 Eco-packaging is used to keep these booties’ carbon footprint down. Handmade in Los Angeles, California, all materials are locally sourced from factories around the city as well. Each bootie option goes with many different outfits. Whether hanging out at grandma’s for Sunday dinner, or taking a walk through the park, parents will find that they work just about everywhere. They even work at the beach for those late afternoon visits. Market these booties as the softest and most secure plush bootie for babies and toddlers to intrigue parents to purchase. Display them with pairing outfits to further promote their versatility to target shoppers. Add them to a care package to complete a gift for new parents coming home from the hospital or for a baby shower. Their miniature size is sure to please.